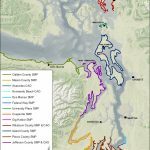 Shoreline Master Plans and Critical Areas Ordinances Updates – Experts in Puget Sound coastal processes, management, and cost-effective design since 1993. 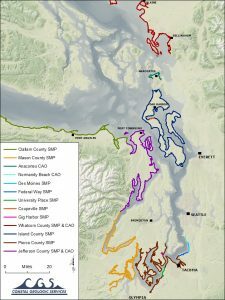 The Shoreline Master Plan (SMP) is a requirement of the Washington State Shoreline Management Act, enacted in 1971, and provides a framework for managing shorelines of the state. Critical Areas Ordinances (CAO) are defined in the Washington State Growth Management Act of 1990 and are designed to protect sensitive and hazardous areas (such as wetlands and landslide-prone areas) via responsible management. When cities, counties, and other jurisdictions are ready to update their SMPs and CAOs, they are looking to incorporate the region’s Best Available Science (BAS) into their planning documents. Such information includes coastal processes and ecosystems. Feeder Bluff mapping in Sequim Bay. 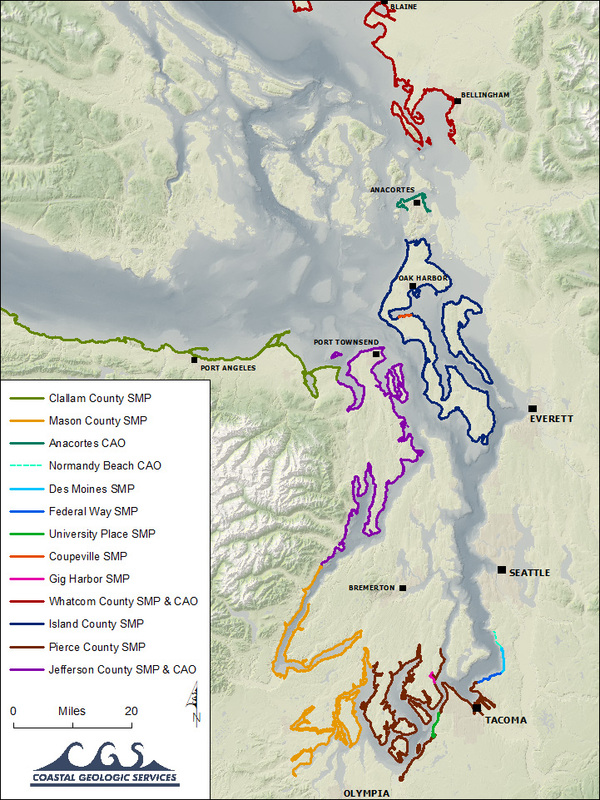 Where the Washington SMP and CAO concern shore environments and related functions of the Puget Sound and Northwest Straits, CGS has helped jurisdictions to update their documents to reflect the most region’s best science. For example, CGS was contracted in 2011 by the Environmental Science Associates in support of Clallam County Shoreline Master Program Update to apply the CGS Feeder Bluff mapping typology (see Feeder Bluff Mapping of Puget Sound) to Clallam County shores east of the Makah Indian Reservation. 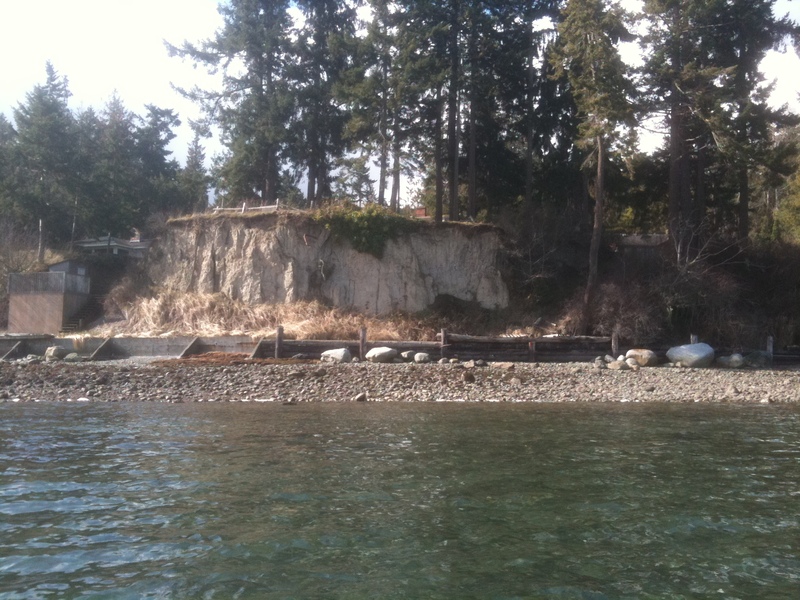 Working knowledge of the critical functions of feeder bluffs can provide insight into key coastal functions such as sediment supply to beaches, and the proper management of those sediment sources. Using a combination of remote and field mapping methods, CGS delineated shoretypes in the County, highlighting the location of feeder bluffs and sediment transport and deposition/accretion areas within each net shore-drift cell. CGS also devised an integrated shoretypes and geohazard review tool in support of the No Net Loss Best Available Science document in support of Jefferson County’s Critical Areas Ordinance Update, completed in 2015. CGS identified and summarized reach-scale data on ecological indicators and marine shoreline physical processes. This was intended to reduce the number of permitted structures with reduced (unsafe) setbacks from unstable banks and bluffs. 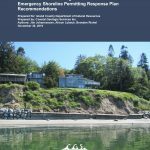 Updated SMPs and CAOs incorporate the region’s Best Available Science to promote the safety and preservation of human health and ecological habitats in the nearshore environment. CGS has successfully helped over 14 counties and cities update their planning documents with critical information about the character and responsible management of their coasts. 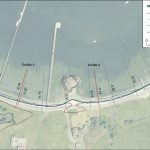 Shoreline Master Plans and Critical Areas Ordinances updates. Click to enlarge.